Electric vehicle carsharing is getting major buy-in from Zipcar, Car2go, and others. What about EV owners? Automotive supplier Continental thinks there’s a technology that could revolutionize spontaneous rental of shared cars – a smartphone app! This is all a bit more complicated than downloading an app. Continental is developing a digital car key wirelessly installed in a smartphone along with a special utility program for cell phones. Continental’s digital car key exchanges data with the vehicle using near field communication (NFC). An encrypted forgery-proof data record is sent to the phone each time the vehicle is about to be used. The data is stored in the phone’s SIM card and contains access authorization for that vehicle. The NFC verifies access to the vehicle and grants permission to start the engine. For now, Continental is testing the technology in a fleet of vehicles in Bordeaux, France, with four other companies – Veolia, EVTRONIC, Mercur and Proxiway. The project’s goal is to create solutions that small and medium enterprises could use for carsharing. 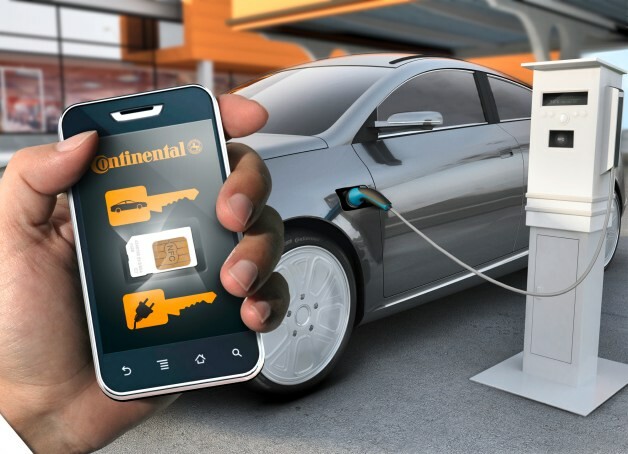 As a technology partner in the project, Continental is launching a complete carsharing solution, including the smartphone car key, in-car electronics, and fleet management functions. Continental’s digital key for EV carsharing points to a new way forward originally appeared on Autoblog Green on Thu, 11 Apr 2013 08:02:00 EST. Please see our terms for use of feeds.